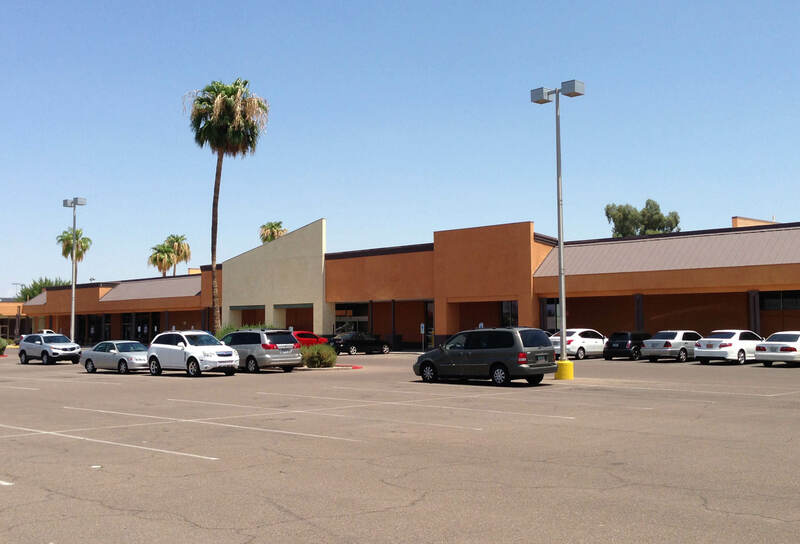 SRS Real Estate Partners is pleased to announce two new leases at College Park, a neighborhood shopping center adjacent to Grand Canyon University located at the northeast corner of Camelback Road and 35th Avenue in Phoenix, Ariz.
Epic Thrift has leased approximately 15,000-square-feet of space in the shopping center. Epic Thrift has five locations in Phoenix and College Park will serve as their sixth location in Arizona. The College Park location is scheduled to open late summer or fall 2014. The second lease is with Metro PCS, a no annual contract cell phone provider. Metro PCS leased a 1,200-square-foot space and is scheduled to open summer 2014. Other notable tenants located at College Park include; Subway, El Taco Tote, Grand Mart and Great Wall Restaurant. Scott Ellsworth and Brian Polachek with SRS Real Estate Partners represented the landlord, Fortuna Asset Management, in both transactions. Neil Board with Western Retail Advisors represented Epic Thrift.